﻿ Adge Boutique Apartment Hotel, Sydney | FROM $172 - SAVE ON AGODA! 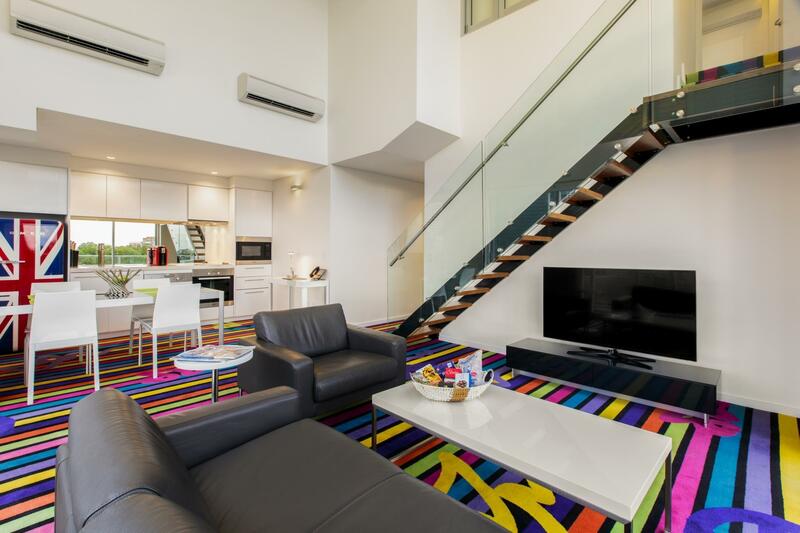 Have a question for Adge Boutique Apartment Hotel? "Apartments are on a great spot." "From the initial arrival and throughout the stay, all staff were friendly and cheerful and seemed to want to go the extra mile in service." "The location, a short walk from the CBD, is excellent." 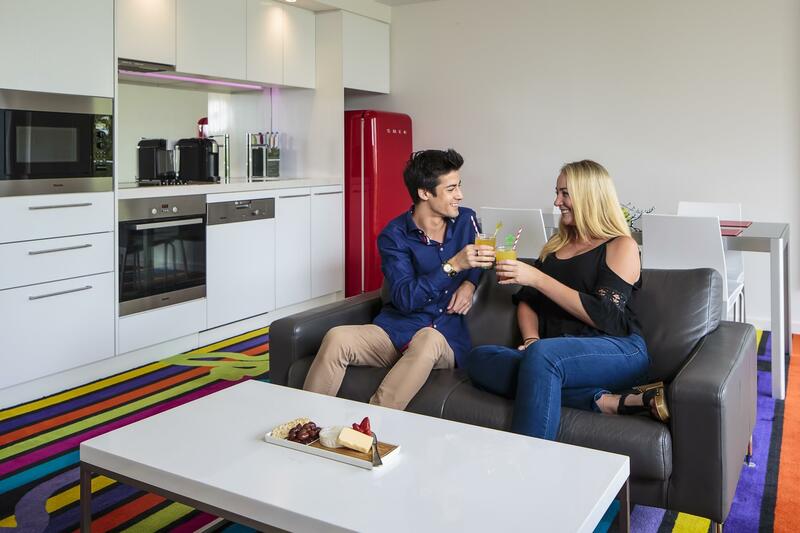 "The staff were very friendly however and the hotel is very c..."
Well-positioned in Darlinghurst, Adge Boutique Apartment Hotel is the ideal point of departure for your excursions in Sydney. Set 1 km from the excitement of the city, this 5-star hotel commands an excellent location and provides access to the city's biggest attractions. Visitors to the hotel can take pleasure in touring the city's top attractions: Route 66, All Art & Mirrors Installation Services, Mark Hanham Gallery. 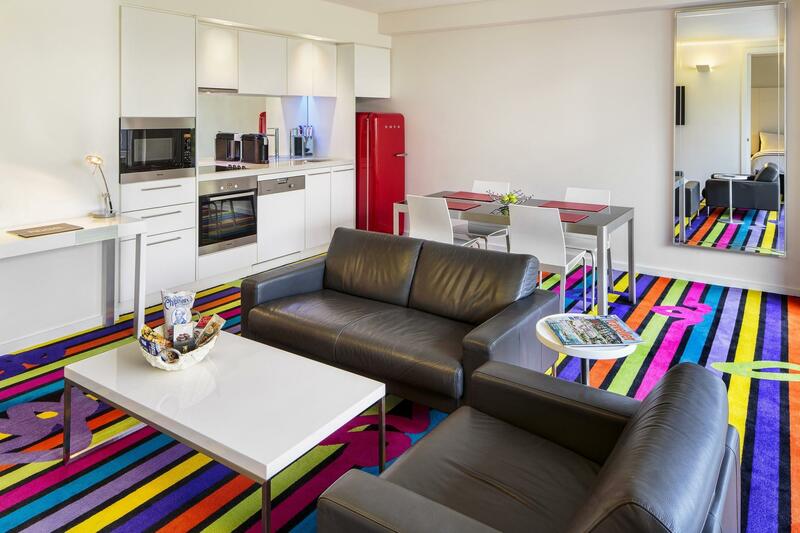 Take advantage of a wealth of unrivaled services and amenities at this Sydney hotel. For the comfort and convenience of guests, the hotel offers 24-hour room service, daily housekeeping, free Wi-Fi in all rooms, grocery deliveries, 24-hour front desk. In addition, all guestrooms feature a variety of comforts. Many rooms even provide television LCD/plasma screen, linens, towels, internet access – wireless, internet access – wireless (complimentary) to please the most discerning guest. The complete list of recreational facilities is available at the hotel, including golf course (within 3 km). With an ideal location and facilities to match, Adge Boutique Apartment Hotel hits the spot in many ways. "This place is amazing ! I will always stay here when coming..."
Please note that parking is not suitable for large SUVs and sedans. Also as there is a steep upward entry point, low profile cars may have difficulty on entry and exit causing damage. The car park operator is not liable for any damage. Maximum height clearance is 1.8 meters. Beddings cannot be altered in the apartment. All guests must occupy the existing bedding. Beds cannot be split. Additionally no provision for any extra beds. The property has a strict no-party policy. Had a wonderful stay there, the staffs were very friendly and helpful. The area where the hotel is located was quiet and it is near to Chinatown. Hi Serene. Thank you for choosing to stay with us and letting us know about your recent ADGE experience. We are delighted to hear you thoroughly enjoyed all aspects of your stay with us. it is fantastic to hear you were looked after by our team of dedicated staff members who go above and beyond to guests have a memorable stay. 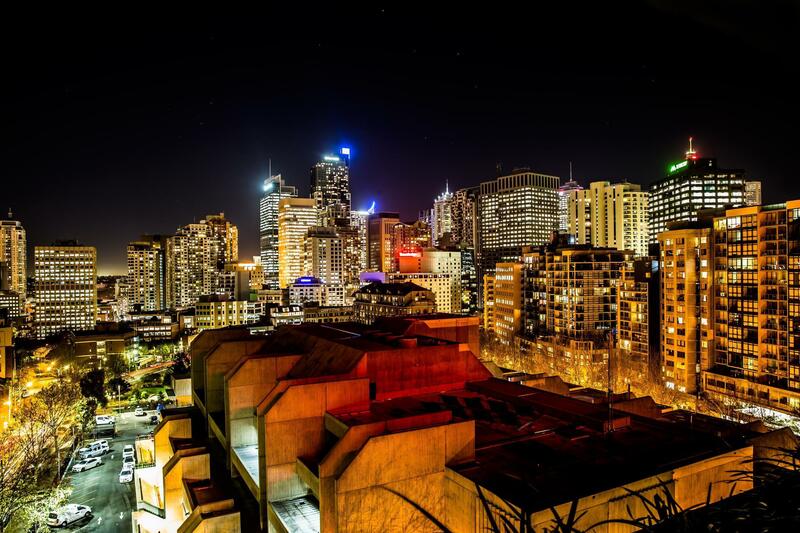 We are glad you appreciated our ideal location at the heart of Surry Hills, surrounded by Sydney's most prominent attractions and eateries. We look forward to welcoming you back in the near future. Warm regards. Dear Hiu, Thank you for letting us know about your recent stay with us at ADGE Hotel. It is fantastic to know you were looked after by our team, who go above and beyond to ensure our guests have a memorable stay. We are glad you appreciated our central and convenient location at the heart of Surry Hills, close to many attractions and services of the city. We look forward to welcoming you back in the near future for another amazing ADGE experience. Warm regards. Great location; short walk to Central where you can get trains and buses quickly. Beautiful, clean apartment with large windows and sunshine. Great appliances. Lovely staff and service! Dear Thomas, Thank you for staying with us and sharing your recent ADGE experience with us. We are delighted to hear you had an enjoyable stay with us. 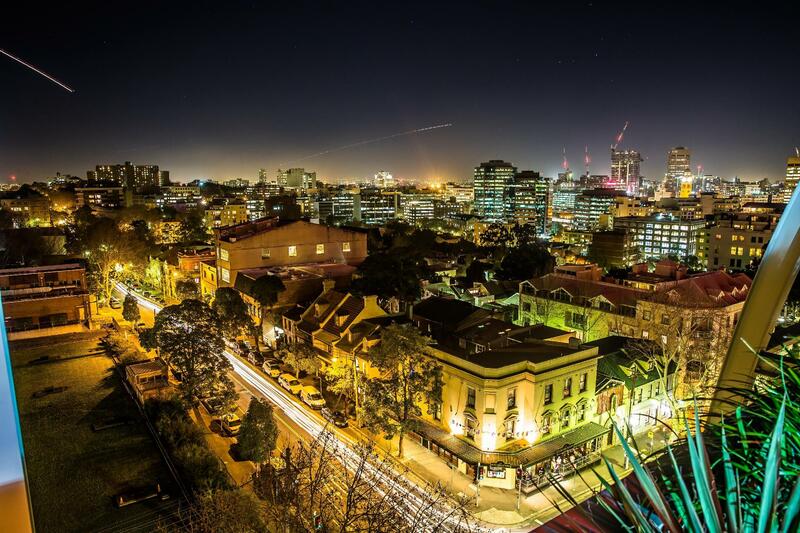 We are very fortunate to be located in the heart of Surry Hills, surrounded by many amazing restaurants and bars along with the local public transport services. We are glad you appreciated the cleanliness of the hotel and the level of service you received from our fabulous team! We look forward to hosting you again in the near future. Warm regards. The service is really good. Great location, very friendly staff, apartment was even better than expected and service was awesome. Will definitely stay again! I am a fan of Airbnb but Adge Apartment Hotel totally swept me off my feet because of its superb service. The plus side of Adge is that your room gets cleaned everyday and they supply you with everything you need. The concierge service was also a great plus. The front office staff (Maricar and Tanya) were far the best Front Officers I have met in my entire life. I would definitely go back. The only recommendation I would have is for additional rubbish bins to be installed in the rooms. Great unit size for 2 couples & an infant. Staff most attentive & welcoming. Simply lovely to be greeted with smiles & warmth. Excellent location to great neighbourhood eateries, close proximity to shopping areas & inner city yet away from crowd & traffic. Certainly most ideal. Will be my choice again. 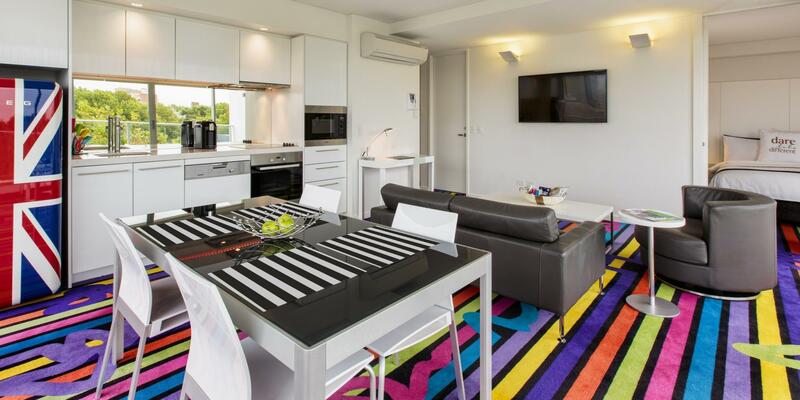 We were traveling as a group of two married couples and this apartment was perfect for our stay in Sydney. Each couple had their own bedroom and bathroom, and we shared a comfy, smartly decorated sitting room, dining area and kitchen. We were treated to a chocolaty welcome gift, a cheese board and complementary bottled water. We were pleasantly surprised to have access to a smart phone which we used to navigate the city and it helped us conserve our data usage. The very friendly staff was service oriented. We were personally shown to our room, they helped us arrange transportation to the airport, took photos, and even mailed our postcards. We felt safe in this area (it’s located across the street from the police station), it was close to restaurants and shops, and it was only a short walk to the train station. We loved the funky décor! I’d stay here again in a heartbeat. Nice and clean apartment. Friendly and helpful staff. The check-out at 10:30am is so early and not convenient at all... I had to pay one extra night as I had to leave the room at 3pm... Considering the price, they should allow late check-out or half day price like most of hotels. Also, they took 150 AUS$ as deposit + 250AUS$ the next day. (I booked 2 nights separately). It's 400 AUS$ as deposit... That's huge and much more than the hotels around as well. These 2 very strict rules don't really show any trust in customers. The staff were very friendly however and the hotel is very clean. Just 1 minute away from Crown street with a large choice of restaurants. Dear Lucas, Thank you for taking the time to share your recent experience with us. It is unfortunate that you felt that our check out time of 10.30am was inconvenient and too early. Please know most hotels in Sydney have very similar check out times. Due to the size of our property and the guarantee check in time of 2pm we are unable to allow guests to stay in the room past check out time. It is also disappointing to know you found the bond to be too expensive. This is common practice in all hotels and the amount we charge is comparable to similar properties in Sydney. I do understand your frustration in regards to such a high combined amount for the deposit, as you stated it was 2 separate bookings, therefore the first deposit would have been in the process of being released to you when the second bond was held, however I do apologise for any inconvenience caused and hope this didn’t dampen your stay too much. We hope to welcome you back to show you a true ADGE experience. The horel is very nice i could strongly recommend it. Friendly staff. Good location. Very well equipped apartment. I stayed for 2 nights in one of the seventh floor lofts. From the initial arrival and throughout the stay, all staff were friendly and cheerful and seemed to want to go the extra mile in service. The location, a short walk from the CBD, is excellent. There are many cafes, bars, restaurants nearby (I highly recommend Toko!) including an Irish Pub across the road. The hotel has been decorated in a modern/hip style. The balcony was very large, as was the rest of the apartment. Nice big apartment with good facilities. Only gripe was charging $30 a day for parking and $1 per coffee pod. Considering this was the most expensive place we stayed on this trip it let itself down on these details. Better to hide these charges in the room fee. 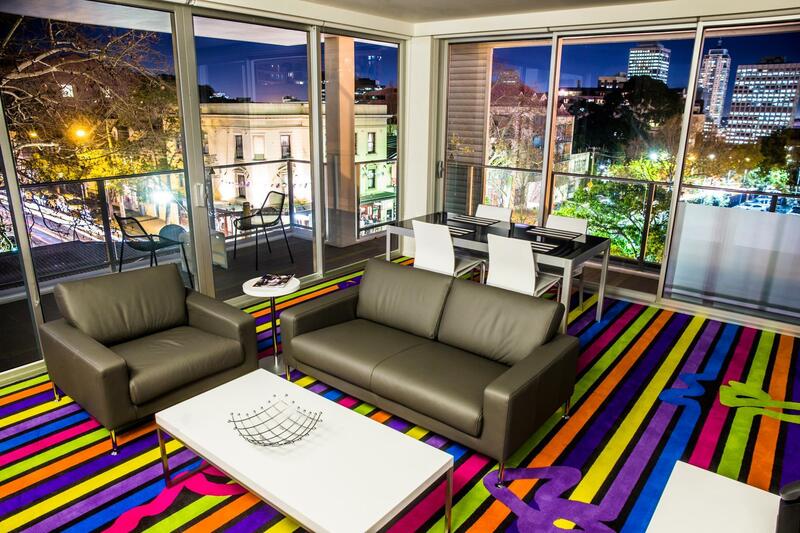 Location excellent, walking distance to CBD shopping and great food in Surry Hills. Perfect for family weekend. Will definitely return.